Vyvyan Marie Garr Welch, age 90, of Stanford, Kentucky passed away Tuesday, February 12, 2019 at Ephraim McDowell Fort Logan Hospital in Stanford. Born Tuesday, October 2, 1928 in Mt. Salem, Kentucky, she was the daughter of the late Ennies Elmer and Alice Singleton Garr. Vyvyan was the widow of the late James Phillip Welch, whom preceded her in death September 30, 2010. 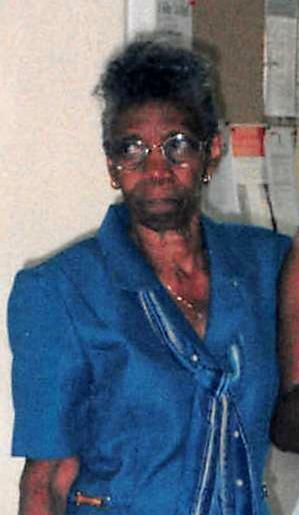 She was a homemaker and member of First Missionary Baptist Church. Vyvyan’s children and grandchildren were her life. She enjoyed needlepoint, gardening, flowers and cooking. Vyvyan leaves behind one son, Michael L. Welch (Gina) of Stanford; two daughters, Vicci Welch Penman (George) of Stanford, and Beverly Welch Guest of Stanford; seven grandchildren, Tanessa Cook, James M. Welch, Ennies Sean Penman, Michael Lewis Welch, Jr. (BB), Dennis Shayne Penman, Joi Marie Guest, and Shannon Lynn Penman Mottin (Dennis); eighteen great-grandchildren; two great great grandchildren; and several close nieces and nephews and other friends and family members whom mourn her passing. In addition to her husband and parents, Vyvyan was preceded in death by one infant daughter, Peggy Joe Welch; one grandson, George Edward Penman, Jr.; seven sisters, Hazel Jones, Lottie Gooch, Pauline Walker, Mamie Brown, Bernice Jarman, Georgia Wilkinson and Willie Mae Garr; one brother, Howard Wilkinson; and one son- in-law, Richard Guest. A Graveside Service will be held 1:30PM Thursday, February 14, 2019 at Barrows Cemetery with Rev. Floyd Raglin officiating the service. Her grandsons will serve as Active Pallbearers. The Visitation will be held 12PM-1PM Thursday at the Fox & Friend Funeral Home. Memorial Contributions can be made to Kentucky Childrens Hospital UK Chandler Hospital - Pavilion HA Fourth Floor, 800 Rose St. Lexington KY 40536. Fox & Friend Funeral Home, Stanford, is entrusted with Vyvyan’s arrangements. Guest Book is available at www.friendfuneralhomes.com.